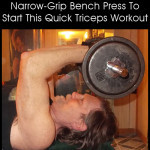 This entry was posted in Building Muscles, Working Out and tagged arm workouts, arms, building muscle, exercise, quick triceps workouts, triceps exercises, triceps muscles, workouts. Bookmark the permalink. This is an awesome workout! I’ve always had troubles with my triceps – I can lift really heavy when it comes to doing weighted squats or bicep exercises, etc, but I can hardly lift 5-6 lbs when doing triceps workouts. 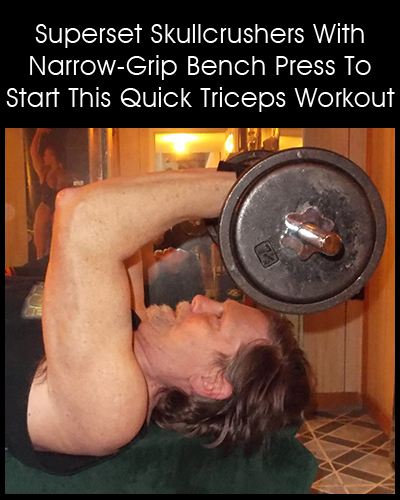 This is a great way to help build my muscle so I can eventually lift more. Thanks! Lol, i’m always afraid of skullcrusher, i might really crush my skull but i’m doing it with a spotter. Hi Doug! This list of Triceps exercises are awesome! Some of my personal favorites are close-grip dumbbell press, kneeling triceps extension, and cable one arm triceps extension. Good luck on your workout! The skullcrushers are definitely amazing. It can build the arms, although sometimes, I find it scary. Haha. You are indeed awesome and I hope I can sustain this type of exercise.